Want to change the way people treat this planet? Bring them a cosmic perspective – how this all came to be the way it is. Share how the Universe is one big system, of which we are one small part. By engaging the public with the big picture, Mountains of Stars changes their attitudes and makes them re-evaluate the impact of human activities on planet Earth. Student interns, KelliAnn Anderson, Coty Tatge, and Zach Troyer, pose above Lakes of the Clouds Hut – high up on the shoulder of Mount Washington. As an Astronomy and Nature Guide you contribute to this process – conducting observing sessions, planetarium shows, demonstrations, and other activities for audiences from kids to seniors. You utilize state-of- the-art telescope equipment, including white light and H-alpha solar telescopes, and top flight telescopes, eyepieces, and accessories for night time observing. Other equipment includes an inflatable planetarium dome and projector, and materials for hands-on learning opportunities including Galileoscope kits, dark skies preservation demonstrations, model solar systems, and astronomy themed games. Our program partner, the Appalachian Mountain Club, is the country’s oldest outdoors education, recreation, and conservation organization. Programs are conducted at AMC lodge and hut facilities, and you work closely with AMC outdoor and nature guides and educators. 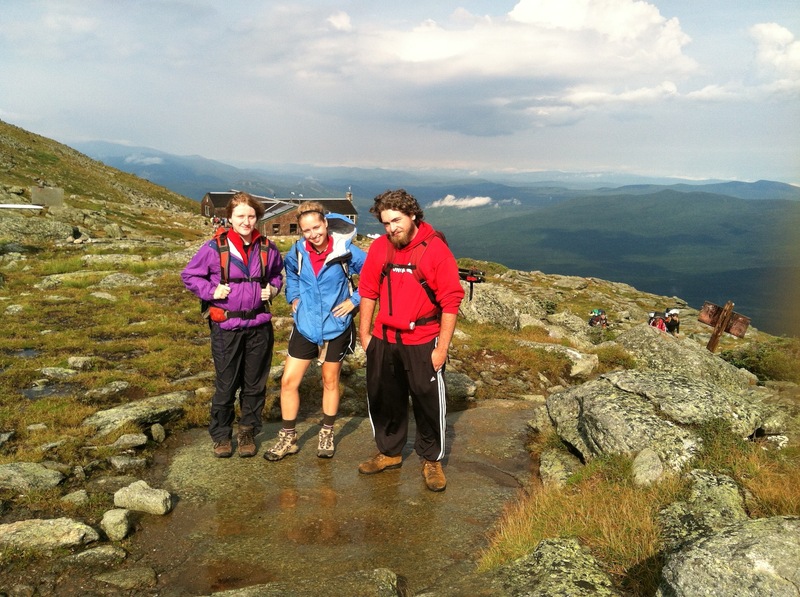 Programs are conducted primarily in the White Mountains region of New Hampshire and the north woods region of Maine – spectacular locations that offer you opportunities to hike, paddle, and climb. Schedule accommodation can be made for students whose academic calendars conflict with these dates (i.e., on quarter or trimester schedules); however, the May 26-27 training workshop is mandatory for all participants. Salary: $250 per week ($3,000 total) plus Room and Meals ($3,000 value). Free use of AMC-supplied outdoor gear. Attendance at the Stellafane Telescope Convention included. Locations: Astronomy and Nature Guides will be posted in teams of 2 to AMC facilities in New Hampshire and Maine, which may include the Highland Center, Pinkham Notch Visitor Center, Gorman Chairback and Medawisla Lodges, and Cardigan Lodge. 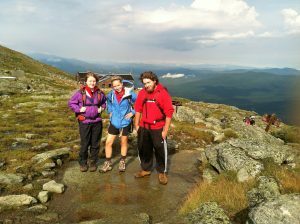 Teams will also work in Franconia Notch State Park and in the AMC high mountain hut system. Interested students should contact the faculty member at their respective institution, and see here for application instructions.